Like kids squabbling over a bag of candy, disagreement over resource and budget control seems inevitable between sales and marketing. Sure, there are instances where politics, greed, and ambition fuel the tension between these groups, but I think that’s the exception rather than the rule. In my experience, both groups typically share the same goals and aspirations and genuinely want to work together amicably, albeit on their terms. After many years working with sales and marketing across sectors including storage, data management, and security, I’ve come to the conclusion that, fundamentally, sales and marketing executives are wired differently. In a pre-technology era, I reckon they would have been hunters and farmers respectively. Sales executives tend to be high-energy optimists with a temporal focus on the short-term: this year; this quarter; even this deal. Like hunters, they can hyper-focus on their target, track it, and set up the perfectly-timed kill-shot. They can net a lot of protein and feed the corporate family as long as they have a ready supply of potential prey. Marketing executives, like farmers, play a long game with planned diversity. They are the analytical planners, the visionaries who work diligently day after day to grow their crops. Good farmers know their soil and seasons, read the weather, prepare the ground, plant the seeds when conditions are right and nurture them daily. They stagger the plantings, thin the seedlings and cultivate them until they are ripe for harvest. They rotate the crops and make the soil richer year after year. The hunters and the farmers are equally valuable and effective in feeding their community, but their methods and philosophies are fundamentally different. The same is true of sales and marketing in our modern, technologically-enabled corporate world. It’s understandable that sales typically favor events, turnkey sales appointment setting services, and blitz campaigns to drive leads. 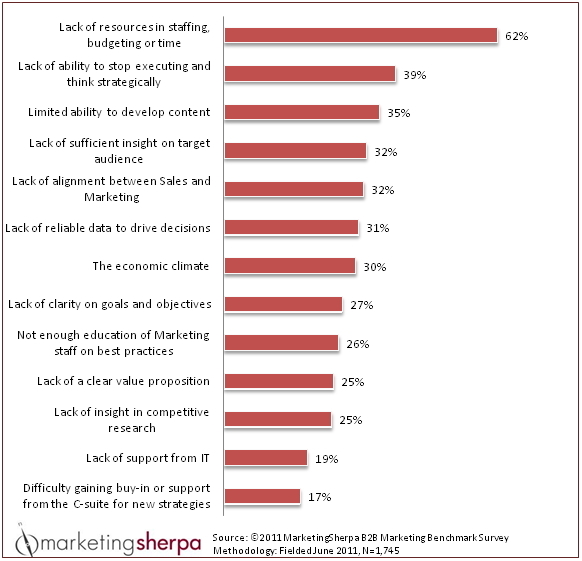 Marketers are more likely to analyze costs and likely outcomes and favor continuous, evolutionary campaigns that generate leads from multiple sources, based on multiple value propositions, and nurture them throughout a cycle that allows for education, evaluation and the vagaries of budgetary discretion until the qualified leads are ready to be harvested. Communications are consistent and sustainable. Next time you’re caught in the crossfire between sales and marketing vying for budget dollars and competing demand generation plans, I hope this little analogy will help you value both approaches and clarify the results you need and how to prioritize and support the activities that are most beneficial for your organization. Like the kids with the candy, the outcome ought not be decided based on who screams loudest! Summary: Marketing VPs and CEOs at data storage and data management firms can use these 5 techniques to generate more sales for the same budget by thinking strategically about how they allocate money. I think it fair to say that most executives take a tactical, rather than a strategic, approach to the marketing budget. For the most part they take last year’s budget and adjust it up or down or they base it on a percentage of revenue. Then they apply the relatively small changes to their existing expenditures. Accordingly, firms set in motion a marketing program that may not provide them with any competitive advantage. And for most, that’s OK. It is good enough not to be at a competitive disadvantage. However, it’s possible to gain a competitive advantage at budget time. By that, I mean a small sales-centric firm can “punch above its weight” and generate more sales for the same budget by thinking strategically about how it allocates money. A worthy goal is to maximize the funds that are applied to lead generation and lead management. What’s a lead? It’s not a web page visit, a click, or a rented list. A lead, according to Marketingsage’s definition is “a sales opportunity-related request with actionable contact information recorded by [you].” These actionable requests are reliably generated by paid promotions such as online advertising, trade shows and email campaigns, especially when supported by product-centric PR and highly selective participation in social media. Another goal, for business with a resale or distribution channel, might be to increase the funds available for sales incentives directly tied to revenue. For example, paying market development funds to resellers only when they meet a set revenue objective. Regardless of the promotion or incentive, strategic budgeting usually comes down to applying money to programs and campaigns that have a direct, or highly influential, impact on sales. So if your budget is not increasing, you are really making a decision to take funding from something or someone so you can apply the money to something or someone else that may have a greater impact on sales. That’s why strategic budgeting is tough. Almost all marketing program and campaign will have their merits and supporters. However, the fact that it tough to do is also the reason why it’s possible for some to out perform peers with the same budget. With that said, I’ll highlight my top 5 techniques for strategic budgeting. When you have a revenue target, a lead-to-sale close rate, an average cost per lead and an average customer value you can estimate how many leads you’ll need and the required budget. For example, if you pay the industry average of $60 for an information request type lead (e.g. white papers download), and your lead-to-sale close rate is 0.5%. You can calculate that you need 200 leads per sale and those leads will cost $12,000. If this year’s revenue target is $10-million and the average customer generates $100,000, you need 100 customers. The 20,000 leads you need for 100 customers will cost $1.2-million in promotions. Of course, a happy customer can be expected to purchase more and the cost of incremental sales to existing customers will be far lower. When you do this for the first time you may fund the numbers quite sobering. That’s not a bad thing because the strategic marketer will use this calculation to push back on unrealistic expectations and goals or to justify the appropriate budget for the targets set. The average cost for an information request type lead (e.g. a white paper download) in the data storage industry is ~$60. As such, you’ll find it helpful to think of each $10,000 that is not spent on lead generation as 166 lost leads. You can translate that into foregone revenue when you calculate your own close rate and expected average value of a customer – $83,000 using the above example (more if customers have a recurring value). Thinking in terms of lost leads is very helpful when making judgment calls. For example, should you spend $60,000 to upgrade the trade show booth? Yes, if you think it will deliver a return greater than ~1000 leads – $500,000 in new revenue using the above example. The same question can be applied to the purchase of marketing analytics tools, paid analyst relationships, promotional giveaways, internal sales meetings, custom creative, etc. If you are the CEO, you can apply this opportunity cost perspective when allocating budget to other departments, rather than to marketing. If it takes an average of 3 months to convert a sales lead to a customer your fourth quarter promotions are driving next year’s revenue, not this year’s. Therefore a strategic marketer will invest almost everything early in the year to drive sales. Early sales success can be used to justify, and fund, the additional budget required to sustain the momentum later in the year. Although the data storage and data management industry is not as seasonal as bathing suits and snow blowers, it does have some peaks and troughs that should be taken account. For example, summer months tend to be slower and government and educational customers purchase in cycles. Strategically it may make sense to execute the bulk of your lead generating promotions in the first 5 months of the year. The word “execute” is important here because it takes 4 to 8 weeks to prepare most promotions – longer for trade shows. Add months and quarters if you need to hire staff, plan and/or build consensus. Executing lead generating promotions on time with sufficient budget is paramount to success. Your ability to do this will depend on having the right skills at the right time. Therefore, strategic marketers think about talent before they decide whether to hire employees, agencies and/or contractors. Your choices here are critical simply because talent is likely to be your largest single expense. Typically talent expenses, including payroll, annual analyst contracts, and agencies can consume 60% to 90% of a marketing budget so productivity gains can make a huge difference if savings can be directed into sales programs and lead generating campaigns. Whether you can redirect savings from increased productivity depends on whether your talent expenses are fixed or discretionary. Payroll is essentially a fixed costs so sales-centric productivity is key. If an employee costing $150,000 per year is spending just 20% of their time on irrelevant tasks, you are effectively forfeiting $30,000 worth of leads. Using the above example, that’s 500 leads that could drive $250,000 in revenue. Employees, and everyone who demands their time, are forced to prioritize. To get everything done, tasks will need to be outsourced. Therefore the value and cost of the task will more visible and it will get more consideration (see note on the Opportunity Cost Perspective). Discretionary budget can be more easily reallocated to sales programs. ≤60% of the talent portion of the budget should be allocated to employee payroll, bonuses and benefits and tools (including the VP of Marketing). The most productive teams have experienced product marketers with deep knowledge of the products and industry. Define the strategy, budgets, and timing. Define the product and company positioning. ≥40% of the talent portion of the budget should be allocated to outsourced services such as PR, creative services, media buying, event management and strategic counsel – tasks that are performed better by people with broad media relationships, independent perspectives, and specialist skills. For most firms these tasks do not fill a 40 hour week and specialist skills, contacts and tools make it difficult to hire an effective do-it-all employee. Additionally, many of these tasks need to be executed simultaneously during certain periods of the year requiring bandwidth that just not available from a highly productive internal team. Run 20-25 simultaneous adverting campaigns, including creative, landing pages and lead capture. Generate 10-12 press announcements per year and brief press/analysts each time. Run quarterly reseller inventive programs. Attend 6 or so domestic trade shows. Run 8 to 12 prospect lead nurturing email campaigns. Manage the process for 4 or so interoperability certifications. Author and layout 4 or so white papers. Author and layout 6 or so case studies. Produce 20 minutes worth of videos. Selectively participate in sales-centric social media discussions. Time is your enemy. The market is highly competitive so a better or less expensive product will emerge soon – maybe before you see an ROI on your current development efforts. This could leave you at a competitive disadvantage with unsold inventory, depressed margins and higher promotional costs. Additionally, if your firm does not yet have a positive cash flow, time is burning up your available capital. Ask the CFO what’s preferable: spending an extra 20% on an agency that can execute now; or burning 3 months of expenses for the whole company while you go through a hiring or orientation process. Obviously fast and bad will not win you customers. However, don’t let perfect become the enemy of good enough. Good enough is faster and less expensive than perfect. You’re in the B2B IT market, not the fashion market, so let your competitors waste time and money on custom art, billboards, golf sponsorships, and chotskies while you deliver what prospects want – timely information that helps them choose your product over the alternatives! So What Does a Big Advertising Budget Look Like? So what does a big advertising budget look like? Here’s what Microsoft, IBM, HP, Apple, Intuit, Cisco, Intel and Dell spent in 2010 according to the B2B Magazine Top Advertiser list (published November 2011). Microsoft was the third largest advertiser after AT&T and Verizon. They spent almost $250 million in 2010, up 30% from 2009. IBM was 6th. They invested more than all the other tech firm in business publications and consumer magazines. HP was 7th and Apple was 8th on the top 50 list. Of the tech firms on the list, Dell spent the least, ranking 28th overall. What can smaller firms selling data storage and management products learn from this? Nothing! The top advertisers are public firms with extensive product lines that are sold globally. How much did exhibitors spend on average in 2010 per face-to-face meeting at their exhibit? $276 according to Exhibit Surveys Inc. data reported in April 2011 by Exhibitor Magazine. How much did they spend per attendee who entered their exhibit? $189, according to the same source. The survey covered many different types of events, however those numbers are consistent with averages you might expect at IT centric shows. Traffic density in 2010 was relatively high at 3.1 attendees per square foot of exhibit space. The average was 2.2. The time spent visiting High Tech exhibits was also above average at 9.4 hours and 2.6 days per show. My PR and lead generation firm, Marketingsage, offers Event Marketing, Trade Show, and Seminar Support Services because such events have always been an important promotional method for marketers of storage products. 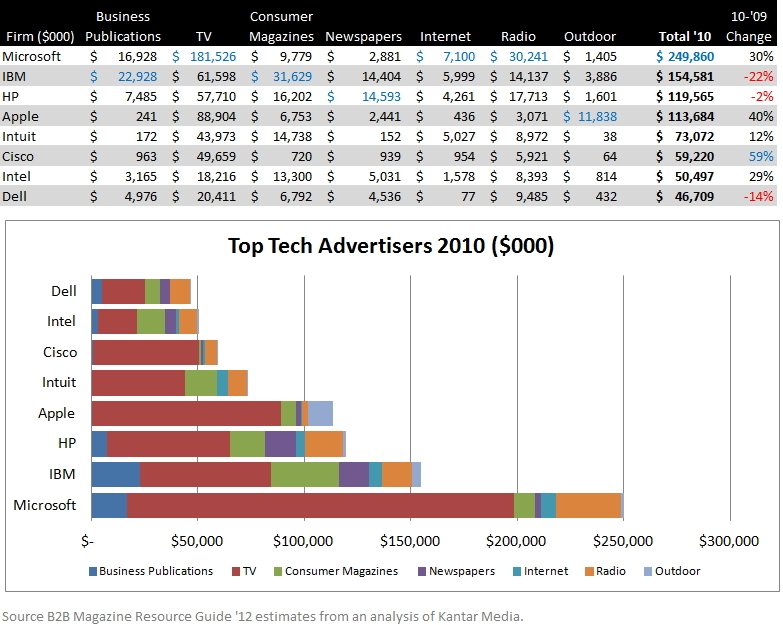 And although the cost-per-lead (CPL) is higher than for online advertising campaigns the value received is different. A CEIR study once estimated that 78% of attendees are interested in products and up to 60% are part of a buying team visiting the show. Additionally, CEIR estimated that the average number of calls required to close a trade show lead was 1.6. This compared favorably with an average 3.7 calls to close a field sales lead. That’s why salespeople like trade shows (in their territory). How do virtual trade shows stack up to the real events for marketers of storage? In my experience, virtual shows have not stacked up in terms of the quality of the leads. However, the CPL is much lower, especially when you account for travel costs. I found the CPL was more in line with online advertising. But the campaign setup time and effort was significantly greater. I may change my mind on this at some point, but after my initial experience with virtual shows I concluded that there was too much work involved for the marketeers compared to the result gained by the salespeople. Additionally, I felt I could have gotten leads of similar quality with easier to manage advertising campaigns.